Well, maybe not a dime…If you’ve ever dreamed of staying at one of Disney’s high dollar resort hotels, but just can’t seem to make it work financially, hold on to your hats and glasses folks because this here’s the best kept money saving “secret” in the wilderness! Renting Disney Vacation Club (DVC-Disney’s timeshare club) points, in a nutshell, is when timeshare owners won’t be using their points (allotted number of days) and instead of accumulating them, they choose to rent them out for cash. Think of it as subletting. It’s a fabulous way for non-owners to stay in deluxe accommodations at moderate (or lower) prices and get a taste of the DVC life-maybe try it on for size before buying in. On the owner side, it helps offset the cost of annual dues and property taxes when they aren’t using their timeshare points. It’s a win-win. A common misconception is that you have to give the name of the owner of the timeshare points when checking-in and that you might be breaking the rules somehow. No, it’s all in YOUR name and it’s all on the up and up! When renting DVC points the reservation will be in your name (not the owners) and you will check-in at the regular Disney Resort arrival desk as if you’ve mad a standard reservation. Your room will be assigned to you, not the owners. You will be treated the same as every resort guest and you will have access to all of the amenities and perks offered to every guest staying at a Disney property. An added benefit of renting DVC points is the ability to include the Disney Dining Plan without purchasing tickets as part of a package. This allows you to save another couple of dollars on your vacation by purchasing theme park passes from an authorized Disney ticket seller such as the Official Ticket Center. Hey, you’ve come this far, why not save as much as possible? So how do you do it? Well, there are two ways. You could utilize a reputable broker, such as David’s DVC Rentals or the DVC Rental Store who would handle the entire reservation process for you, search for available properties and deal directly with the timeshare owner on your behalf. This would be my suggestion, something I personally have done (twice) in the past and would certainly do again. Their websites have a wealth of information on the process and are very easy to navigate. Alternately, you could handle it privately by seeking out a timeshare owner on one of the popular forums such as Disboards or Mouse Owners to name a few, who is looking to rent out their points. While this would be about $1-$2 cheaper per point than using a broker, it’s risky. There are no guarantees that the owner will hold up their end of the bargain or be able to help should something go wrong during check-in. It’s a gamble and while you would be saving even more money, it’s still a lot to risk losing. Should you decide it’s worth the risk and opt to rent privately, make sure the owner you are dealing with has references and is not new to the forum. You want to deal with someone with credibility you can verify or you may find your stomach in knots for a few months hoping everything goes as planned. 1. Payment is due in full the moment you agree to make the reservation (in most cases). 2. If you are adding the Dining Plan, this must be done at least 30 days prior to check-in and also must be paid in full. 3. If there is a FREE Dining Plan promotion, you will not be eligible. 5. Housekeeping services are limited and do not occur daily as in a resort hotel stay. Extra service can be purchased for an additional fee. 6. The earliest you can book is 11 months in advance. 1. You save a TON of money on deluxe accommodations. 3. You still receive all the perks of a Disney resort hotel guest: Extra magic hours, Magical Express, package delivery, etc. 4. You can add the Disney Dining Plan without purchasing tickets, allowing you to save even more money by buying from an authorized discounted ticket seller. 5. 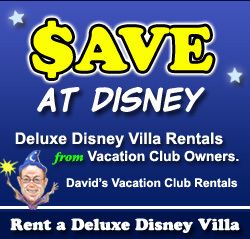 You can test-drive the DVC life without the financial obligation. I don’t know that I would recommend going this route for first-time visitors to Walt Disney World. It’s overwhelming enough to navigate your way through advanced dining reservations, FastPass+ and strategizing the touring of 4 tremendous theme parks. However, if you’ve already got the lay of the land and want to “plus” your next Disney Vacation, renting Disney Vacation Club points is a fantastic way to do so! This was very informative. We’ve been talking about DVC for years, but are still on the fence. I liked the idea of renting the points to check it out. Your pros and cons list was helpful! Thanks!